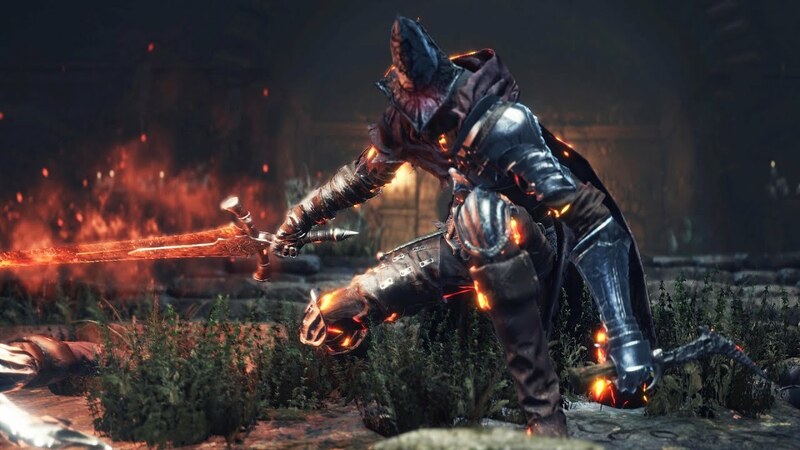 You wear the Undead Legion Set and use the Farron Greatsword, because you are the Abyss Watcher. You need Aldrich's Sapphire, Fire clutch ring, Farron Ring, and the Witches ring. You will also the the pyromancer's flame and the Carthus flame arc. This build will make you vary damaging with fire, and extremely mobile, with your Farron greatsword's abilities. Your goal in a fight is to use Carthus flame arc, and play keep away until he rushes you, then parry if possible and riposte. If you are bad at parrying, then do what I do at when he goes to charge you, while two handed, use your left hand light attack, the third one is the "flip". This weapon makes you so incredibly hard to kill, because your character is constantly moving. But, you can be parried, so keep that in mind.